The family-run, Mortimer Chocolate Company is celebrating after beating multi-national competition to win a Highly Commended in the 2018 Quality Food Awards. The company received its award in the hot beverage category for its Salted Caramel Chocolate Drink, following a blind tasting by industry experts. The awards, recognise excellent new product development, are dominated by big businesses, with their large R&D budgets. 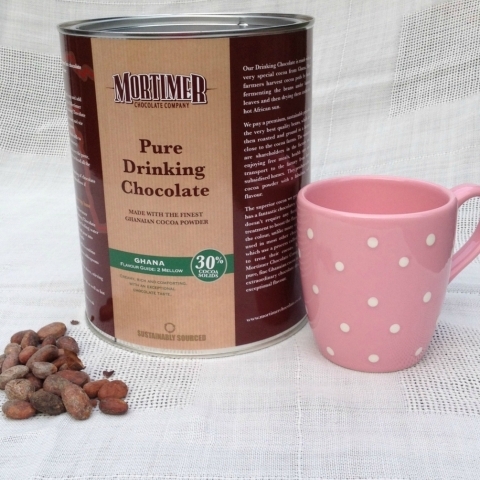 Mortimer Chocolate Company is a small, UK chocolate producer, that specialises in producing chocolate drinks, available on-line through Amazon, in local outlets through the Thames Valley and in cafes across the country. Founded by Adrian and Felicity Smith in 2006, Mortimer Chocolate specialise in chocolate drinks and chocolate as an ingredient.